My Sweet Box’s Limited Edition Christmas dessert boxes have arrived and OHHH BOY, we are ready! 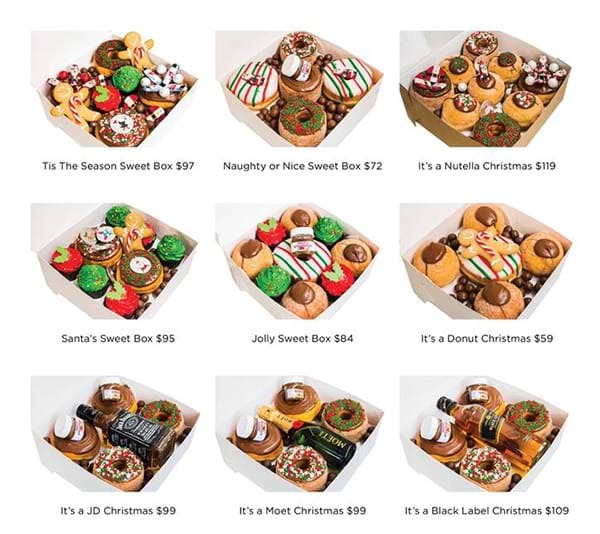 It’s hard to believe but the company has created nine festive dessert boxes! From now until Christmas Eve, you can order these bad boys which can each be customised with Christmas balloons, mini Nutella jars, Nutella filled personalised syringes or mini or full-size bottles of liquor! This is the perfect gift for that friend you never know what to buy… or even just for yourself! Download the Hit Network app here to keep up with all your favourites!